Do you ever visit customers just to “check-in” ? What a colossal waste of your time and theirs! If you don’t have a purpose for the call…I mean a real purpose…that serves you, your company, the customer and the patient…then don’t make the call. But I’m going to help you avoid that situation with a simple question that I offer up in this podcast. 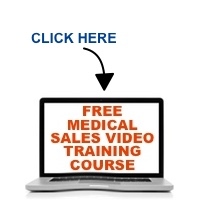 After you listen, let me know how you avoid being “The Professional Visitor” by clicking on either “comments” or “no comments” in the box below and sharing with the world at http://www.MedicalSalesGuru.com .